Nairobi has been selected as one of 13 global launch cities. Windows 10 will most likely be the last Windows version released as it moves to a Software As A Service model. This means that Windows will be in a perpetual update cycle, delivering features to users faster. Windows 10 is the first “crowd-sourced” operating system with over 5 million global “Windows Insiders” contributing feature ideas, solving bugs and providing the valuable feedback that ensures that the operating system meets the demand of its users. Windows 10 will be the first main operating system that runs across multiple form factors and devices. Windows 10 is the first operating system with a unified store for all its devices (regardless whether it is PC, tablet, phone, Xbox or even wearable like Holo Lens and Microsoft Band). Windows 10 will be offered as a free upgrade to users with valid licenses of the 3 previous Windows Operating Systems (Windows 8.1, Windows 8 and Windows 7. Windows 10 will include Microsoft’s Personal assistant, Cortana. Windows 10 will support the widest selection of local dialects and languages (including 14 from Kenya). Windows 10 runs on multiple form factors. 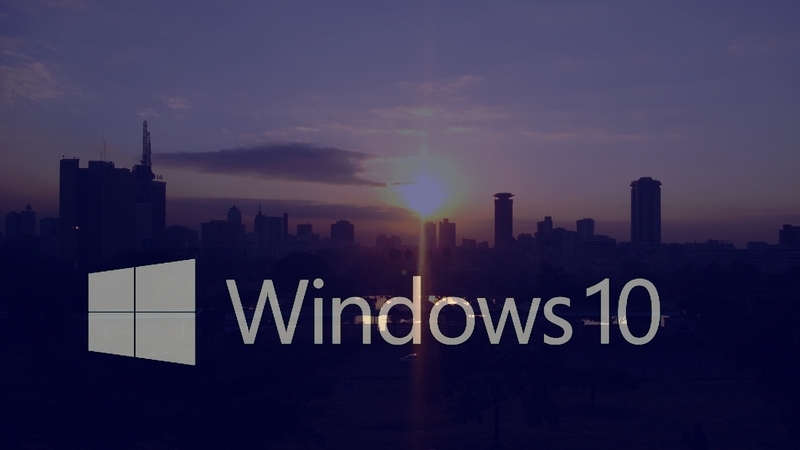 To support the global launch of Windows 10, Microsoft has selected Nairobi as one of only 13 other cities that will participate in a global marketing campaign dubbed Upgrade Your World. Nairobi and Johannesburg are the only African cities selected. The remaining cities are New York, New Delhi, Dubai, Beijing, Berlin, Dubai, London, Madrid, New Delhi, New York, Sao Paolo, Singapore and Sydney, and Tokyo. The launch celebrations in these will feature “offer hands-on opportunities, experiential demos, entertainment and opportunities to meet the Windows team”. It is an honor for Nairobi to be chosen over such esteemed cities like Paris, Los Angeles and even Rome. This shows the commitment that Microsoft has placed on the continent of Africa. With initiatives like Microsoft 4Afrika, WhiteSpaces, and Biz4Afrika, Microsoft has shown that it is serious in developing scalable ecosystem on our continent. Be sure to follow Techweez as we will have first access to the local Windows 10 launch.